Melissa likes to have fun in our our gorgeous Japanese kimono " Kobe "Print with its black background and dragonflies and fan motifs in white , teal &red. 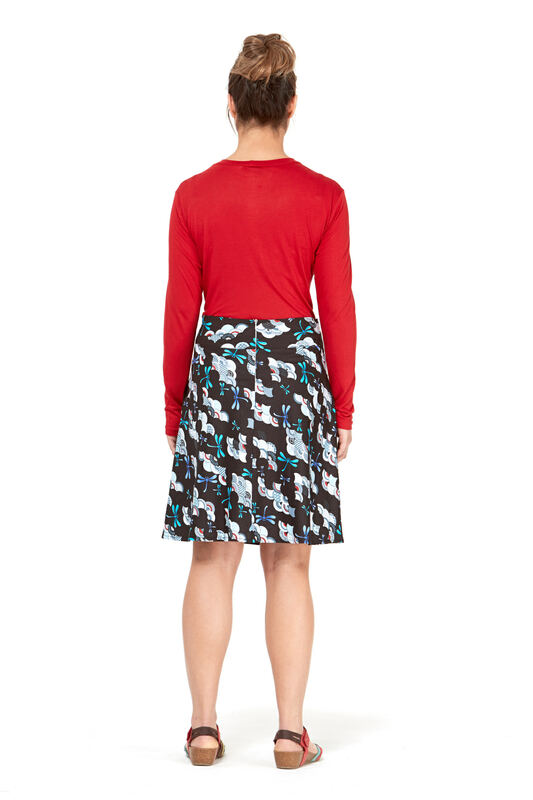 This print screams out "wear me ",so fresh & vibrant .Simply teamed with a plain T shirt, singlet or similar tops and sandals or flats .The Melissa skirt is a Rasaleela seasoned favourite over the last 4 years or more and is an easy to wear skirt which falls in a great A-line shape suited to those with a larger waist or hips. Melissa is a must-have wardrobe staple.